Fashion is highly impulsive with its revolving trendy doors constantly in motion. Today, when human contacts are so quick, fashion has evolved into an instant language that reflects your personality, way before your words. With the fashion industry estimated to account $30 billion by 2020, designers and brands from across the globe are creating fresh fashion angles for today’s style-conscious generation. Draping the millennials’ closet with latest couture, Turtle has evolved as a brand to redefine men’s fashion and dressing the contemporary crowd with stylish yet sophisticated fineries. Spearheaded by Shitanshu Jhunjhunwalla (Retail Director), 25-year young Turtle sustained the ever-changing wave of fashion and became a mainstream brand choice for Men’s vogue. From corporate styling and trendy clothing to men’s accessories and hand-woven fabrics, Turtle’s in-house design studio with 30 talented designers invests heavily in R&D to develop fashion-oriented products that completes the wardrobe with style. After dressing eastern India with à la mode designs available in 100+ exclusive stores, 500+ Shop-in-shops and 1000 multi-brands outlets, the company is now expanding its vogue in Andhra Pradesh, Karnataka and Uttar Pradesh next, and purveying into more exclusive outlets in the Eastern Region. The following excerpts of an exclusive conversation of Shitanshu with CEO Insights dissects the brand’s seamless innovations and milestones in incorporating design, quality and on-ground knowledge at its best into menswear design. How did you transform into a lifestyle brand and how are you integrating industry experience with effective business strategies? Back in 90s when readymade clothing came into mainstream and diversification was spinning alerts, we transformed our Howrah-based traditional textile & tailoring store into readymade menswear store and that’s how Turtle was born as a brand in 1993. However, the brand name came through when my father and I were watching ever-famous cartoon 'Ninja Turtles'. Since many brands are named after animals, we decided to name our brand 'Turtle' as it signifies durability, adaptability and balance, all attributes centric to our offerings.
" From corporate styling and trendy clothing to men’s accessories and hand-woven fabrics, Turtle’s in-house design studio with 30 talented designers invests heavily in R&D to develop fashion-oriented products"
After completing my education in supply chain management and gaining on-ground experience in back-end management, operations & resource optimization, I joined Turtle as its retail director and placed initiatives into action involving back-end setting of SOPs and MIAs along with re-looping various processes both at warehouse level and store level inventory cycles. This helped us grow our retail vertical every year and oversee showroom expansion prospects in a wider frame. Also, extensive travelling to European countries and the Middle-East, tapping latest trends, timely outlet visits and customer feedback not only enhanced visual merchandise communication but also aided problem solving understanding and opportunity identification. With this approach, we formulate strategies that are consumer connected and business oriented. How are you weaving designs with an additional colour of personalization in the fashion spectrum? studio collection featuring designer outlook garments, will soon be up on the shelves in selected stores. The idea is to create looks for each season that is a little more fashion forward. Since online selling is becoming mainstream revenue generators, Turtle’s website is crowd pulling fashionistas and fascinating folks on all major online platforms. What are your strategies to cope up with the emerging innovations and how do you ensure to sustain the same success pace in the future endeavours? While the company’s growth has been synonymous to a turtle’s consistency, our next big leap is setting up 50 new stores by 2020 and enhancing our presence in multi-brand outlets. Also in the pipeline are brand expansion plans wherein addition of newer categories (women’s wear, kids wear, inner wear & footwear)and dimensions is being explored to take the brand on the bigger echelon. Another strategic move sure to hit the bull’s eye is our initiative of setting up manufacturing unit at the Presidency correctional facility in association with West Bengal government. Not only will the inmates produce manufacturing garments with the provided fabric and machinery but will also acquire the desired training and skill set. If that goes well and the desired output is achieved, we will be replicating this initiative in certain other facilities across the state. 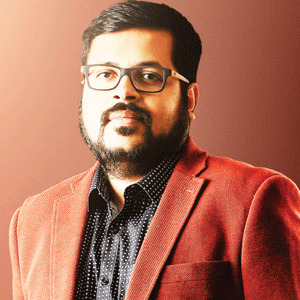 Amalgamating global exposure with dynamic business acumen, Shitanshu is keen to mark a revolution in the fashion industry and drive the brand towards success with passion and trust.